76 Jalan Radin Anum 1, Bandar Baru Sri Petaling, 57000 Kuala Lumpur. Behind Public Bank. Opposite police station. Wooden looks floors and old-style wooden tables and chairs create the feel of a rustic teahouse in this non-halal restaurant. 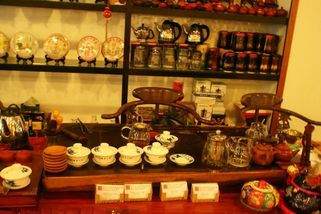 The centrepiece is a set of shelves displaying various types of Chinese tea and a table set for brewing and tasting them. Here, you can not only learn about the health benefits of the various teas, but also how to match them to your food. 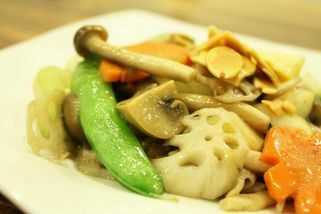 The food is authentic Cantonese specialities like Two Taste Khai Lan, Four Treasures Vegetables, Stir-fried String Noodle, Ripe Puer Braised Pork and Prince Tofu. A new recipe is introduced every week. For dessert, try a coconut-shell bowlful of Famous James Cendol, made with shaved ice, coconut milk, brown sugar, cendol, pulut and red beans. This place was very surprising. I went a few years ago for a work lunch, a huge group of us were entertained by the architect of my big client. The bill was hefty but the food measured up to the exotic price tags. We had a fish that I suspect was alive before we turned up. There were many dishes that were so good with rice. 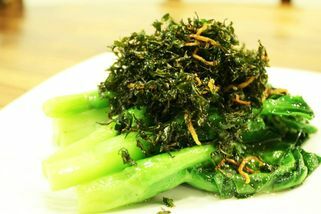 Their food is classical and innovative at the same time, the Chinese way. I was impressed with the flavourful soup that they served out of a teapot into very delicate and tiny bone china teacups. The restaurant is located in Kuchai Lama, which is out of town for me. It is easy for driver drop-off, parking can be found but not always easy. Do not expect too much of the ambience, it is comfortable but the decor is secondary to the quality of food and services offered. I plan to bring my family there to order some special food, this is one of those places you can call ahead for extra meticulous treatment. They would cook your meal 2 days ahead of time, I suspect they have a knack with the Chinese soups! This place is pretty famous with some old timers, so they don't really need my introduction actually. Love their food as taste really good! 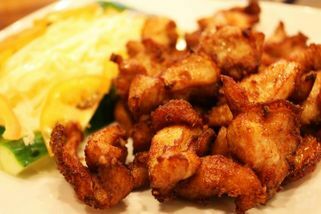 tried the Pur Er tea pork, they special dish, must try.